Repeated throughout the novel, this should be the tagline for the movie poster. You never know who to trust which keeps you reading to find out who's who. Most books in this genre only focus on one area of technology. What makes this different is that the author blends TWO different technologies (neuroscience, cybertechnology) seamlessly. Although there is a good deal of telling involved, it is never obtrusive and is necessary to the story. Add to this a kickass heroine; a massive government conspiracy; and a megalomaniacal villain, and you end up with a great read. Bottom Line - great read and I cannot wait until the sequel. 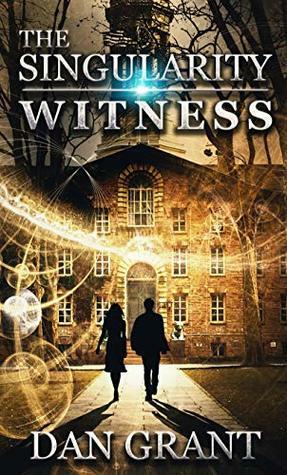 Sign into Goodreads to see if any of your friends have read The Singularity Witness.